Posted by Eddie & filed under Military/Aircraft, Mountains & hills, June 5 2010. Last Sunday I did some walking in the hills of Morvern, a quite anonymous and hidden part of of Scotland. The area has no high summits, but has some amazing scenery and views. 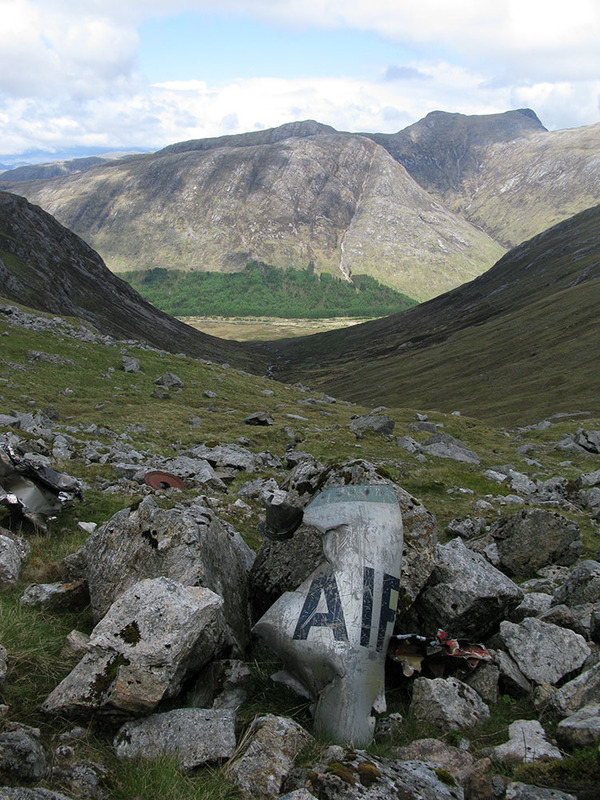 After a quick trip across Loch Linnhe on the Corran Ferry, I walked up Coire nam Frithhallt from Glen Tarbert towards the site of some wreckage from a jet that crashed here in 1964. A USAF Voodoo jet fighter came apart over Maol Odhar and there are aircraft parts littered over a large area, including the jet engines. Unusually for such a relatively recent military wreck, the parts were never cleared away. You can see my page about this wreck site on my website here. I then walked up a steep slope at the head of Coire nam Frithhallt towards the summit plateau of Maol Odhar (where there are some more parts of wreckage from the Voodoo), before heading along a narrow ridge to the 853m Corbett summit of Creach Bheinn. The views from this ridge were spectacular, taking in the lochs of the west coast, the inner hebridean islands of Mull and Rum, and the summits of Glencoe and Ben Nevis on the mainland. This was another walk that proved that some of the best hillwalking in Scotland is to be had on mountains that are not necessarily the highest.